The Air Force has selected 63 primary and alternate students to attend training at the U.S. Air Force, U.S. Naval, British and French test pilot schools, with classes starting next summer. The selection board met in July and considered total force officer and civilian candidates for test pilot, test combat systems officer, test remotely piloted aircraft pilot and flight test engineer. 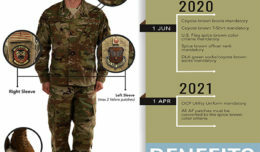 The TPS graduates will have a profound strategic impact on the development of future combat capabilities, Kimball added. 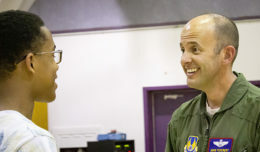 The U.S. Air Force Test Pilot School at Edwards Air Force Base, Calif., trains pilots, combat systems officers and engineers to develop, test and evaluate the newest aircraft and weapons systems. In addition, the school conducts exchange programs with the U.S. Naval, United Kingdom and French test pilot schools to train fixed and rotary wing pilots and flight test engineers. The selection list is available on myPers from a CAC-enabled computer. 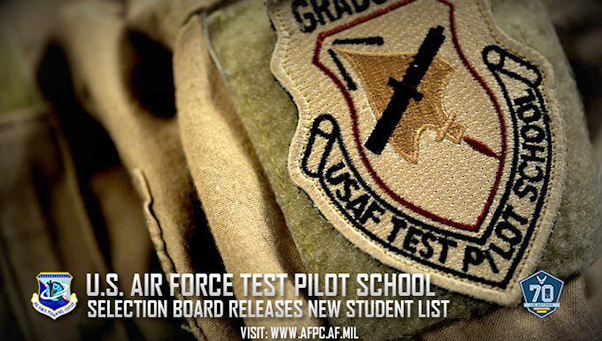 To view the list, select “Any” from the dropdown menu and search “Test Pilot.” Prior to posting the list on myPers, the Air Force’s Personnel Center provided senior raters with advanced knowledge of the selection list to allow notifications through the chain of command.